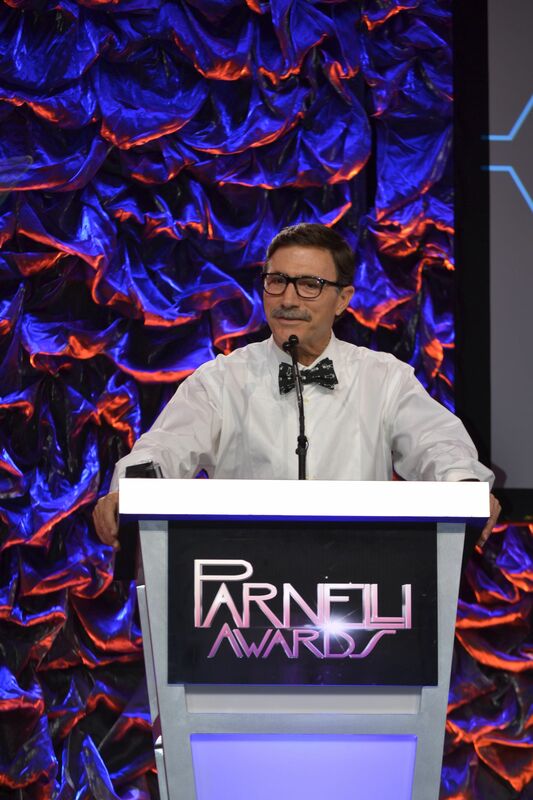 As a writer/content provider for all things, few things I do are as rewarding as the Parnelli Awards. Last weekend I finished producing and writing the 15th annual award that honors those who work in the live events, and it was an astonishing success. 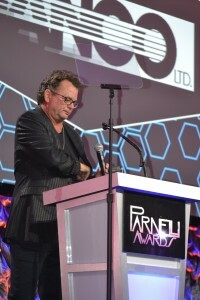 The host was Vans Warped Tour’s Kevin Lyman, and those who work behind the scenes in concert touring (lighting directors, audio engineers, set designers) and other live events received their awards. There were three lifetime achievement awards given out, to, including one to Chris Lamb, who has made the world tours of the likes of Madonna, Michael Jackson, and most recently, Jennifer Lopez, happen, among scores more through his career. I write all the articles and the three documentaries on our honorees, and head a team that writes the two hour show. I head production meetings and handle everything from how much rigging needs to go into the room to where certain people sit at the show (I’m surprised they don’t ask me to also bus the tables ….). I handle a thousand moving parts, working with professional event people and the occasional ornery presenter. The challenge is these people have purposely chosen a life backstage, away from the limelight, and here I am, pushing them in front of a live mic in front of a sold out crowd of 700 of their peers. That’s me, kneeling, next to host Kevin Lyman and all the crew who make this show happen. First, let’s back up: While today it’s the most prestigious award show in this business, it naturally started out small. While I wrote for the magazines that sponsor it (PLSN and FOH) since their beginning, this show started as a dinner where they gave out one award. In 2003 it expanded and I was asked to write a documentary on that year’s lifetime honoree, the unflappable Chip Monck, who among his lighting skills is likely most known to the general public as the guy who warned you against the brown acid at Woodstock. My role grew to writer, and then producer, and the show continues to get bigger and better. It’s an odd thing to say that one was born to run award shows, but that is certainly my case. All my life skills and experiences come into play: play writing, interviewing, producing, organizing, working with people, listening, graphic designer (I do all the power point slides that run the show), public relations, digital media, people skills, speech writing, technical knowledge and experience … and of course, writing in the voice of the person at the mic. 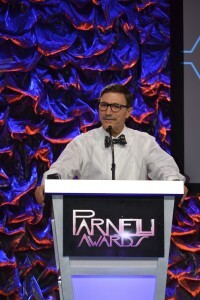 The only regret about the Parnelli Awards is that I only do it once a year – now that I have it down, I’m anxious to apply these skills to other similar situations, because despite the stunning amount of work, I really have fun doing it, so do everyone who works with me. 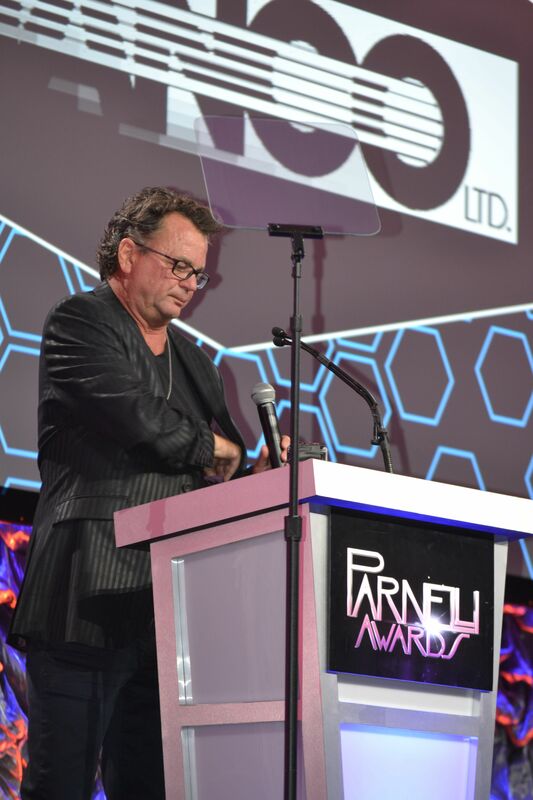 This entry was posted in General and tagged Award Show, Chip Monck, Chris Lamb, FOH Magazine, Freelance writer, ghostwriting speeches, Industry Award Show, Kevin M. Mitchell, Madonna, Parnelli Awards, PLSN Magazine, Producing, writing award show. Bookmark the permalink.